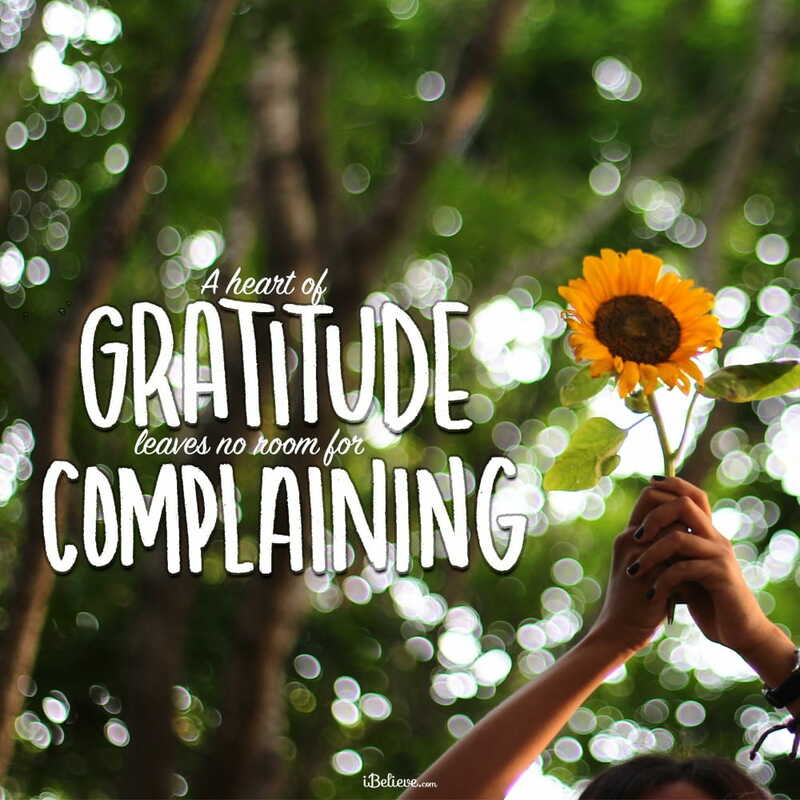 We have so much to be grateful for in this life. Each and every day. But reality is that sometimes constant life demands, struggles, and worries give more room to defeat than to a heart of thanks. Or we forget, in the midst of busyness and pressures, just to pause and give thanks, for all that God has done, and continues to do in our lives. Sometimes it really is a sacrifice to offer praise and thanks. We may not feel like it. We’re struggling. We're weary. Or maybe, we feel like He let us down. We think God seems distant, like he's far away, or doesn't really care about what's troubling us. Painful life blows and losses might have recently sent us spiraling. But here’s what can make a lasting difference. We have a choice, every day, to give him thanks. And with a heart of thanksgiving, we realize that no matter what we face, God doesn’t just work to change our situations and help us through our problems. He does more. He changes our hearts. His power, through hearts of gratitude and focused minds on Him, releases the grip our struggles have over us. We're strengthened by His peace, refueled by His joy. Thank you for your amazing power and work in our lives, thank you for your goodness and for your blessings over us. Thank you that you are Able to bring hope through even the toughest of times, strengthening us for your purposes. Thank you for your great love and care. Thank you for your mercy and grace. Thank you that you are always with us and will never leave us. Thank you for your incredible sacrifice so that we might have freedom and life. Forgive us for when we don't thank you enough, for who you are, for all that you do, for all that you've given. Help us to set our eyes and our hearts on you afresh. Renew our spirits, fill us with your peace and joy. We love you and we need you, this day and every day. We give you praise and thanks, for You alone are worthy! Editor’s Note: Content taken from the blog piece, The Power of Gratitude: 21 Verses of Thanks to God, written by Debbie McDaniel. You can read that piece in full here. All rights reserved.